Is It a Sinus Infection, a Cold, or Allergies? 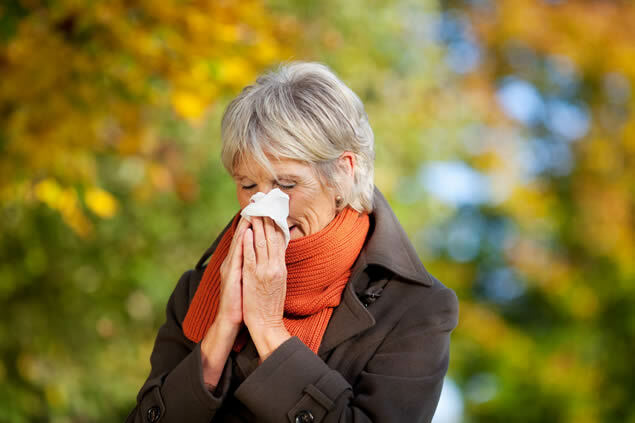 As we get into the cold weather, it is a prime time for stuffy noses, sore throats and watery, itchy eyes. But if your symptoms last more than a week, or if they seem to turn off and on based on your surroundings, you may be battling allergies or sinusitis. Look at the chart below to learn more about the differences between the three. If you need a proper diagnosis, contact Advanced ENT & Allergy so we can get you treatment that can lead to quicker recovery. Symptoms Similar to allergies, but may also include sore throat, fever and body aches. Runny or stuffy nose; sneezing; wheezing; watery or itchy eyes. Swollen, painful feeling around forehead, eyes and cheeks; stuffy nose with thick, colored mucous; bad tasting post-nasal drip; bad breath; sore throat; cough; tiredness and occasional light fever. Warning Time Develops over several days. Begins shortly after exposure to an allergen. Stuffy nose and cough lasting longer than one or two weeks. Duration Should clear up within several days. Lasts as long as exposure Acute sinusitis reers to symptoms that last less than four weeks. Chronic sinusitis is when symptoms last three months or longer.